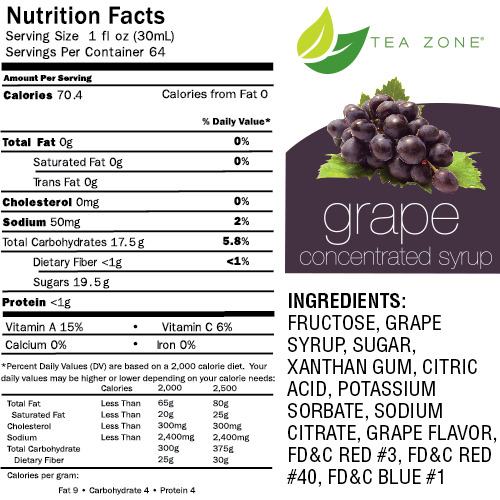 Grape bubble tea syrup used to make Grape bubble tea smoothies, Grape boba tea slushies, and Grape flavored green / black teas. Grapes are sweet and tart-y tiny fruits which are used to create delicious dishes and other sweet treats. 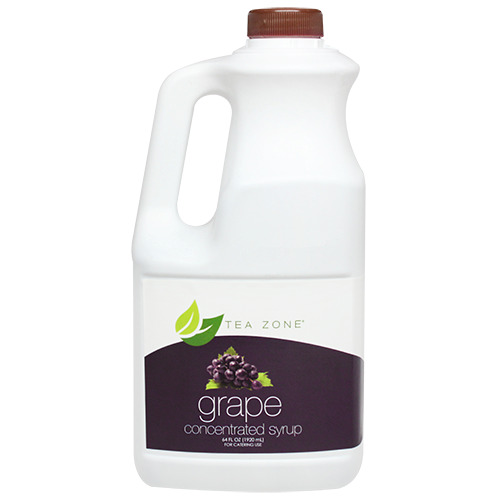 Get a hint of some tasty grape flavor in every beverage you make with our Grape Syrup. Made with only quality ingredients, this syrup is a great ingredient to use when creating refreshing drinks. For a tasty grape slushie, blend this syrup with some water and loads of ice. Add a garnish of sprig of mint for added flavor. Like this item? Try our Grapefruit bubble tea syrups!